Found one file extension association related to VitalSource Bookshelf and 1 file format developed specifically for use with VitalSource Bookshelf. 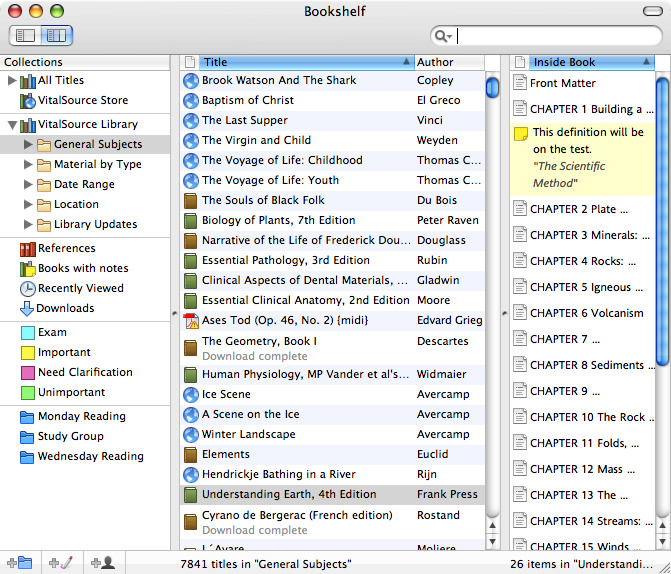 VitalSourceTM Bookshelf is the most advanced e-book software in the world. Now, your friends' notes and highlights can even show up right in your copy of the book. If you need more information please contact the developers of VitalSource Bookshelf (VitalSource), or check out their product website.